CSUMB's Joel and Dena Gambord Business and Information Technology Building is a certified LEED Platinum building. 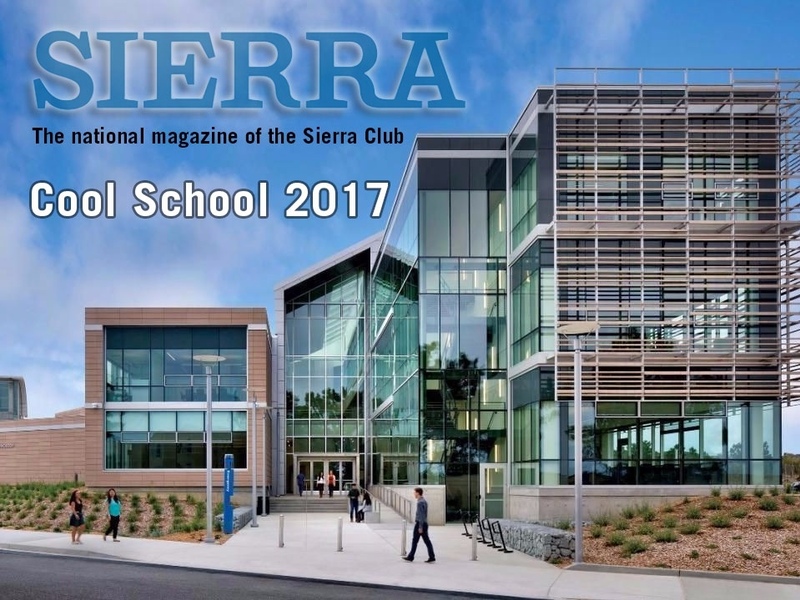 SEASIDE, Calif., August 22, 2017 – California State University Monterey Bay (CSUMB) was recognized today by Sierra magazine, the national magazine of the Sierra Club, who released its eleventh annual “Cool Schools” ranking of North America’s greenest colleges and universities. CSUMB ranked 152 out of 227 schools and joined eight other CSU campuses to include San Jose, San Francisco, Fullerton, Channel Islands, Cal Poly, Sacramento, Northridge and Sonoma in recognition for their commitment to sustainability. Sierra received complete surveys from a record-breaking 227 schools — in 36 states, the District of Columbia, and for the first time ever, Canada. The schools recognized have displayed a deep and thorough commitment to protecting the environment, addressing climate issues and encouraging environmental responsibility. Using a customized scoring system, Sierra’s researchers ranked the universities based on their commitment to upholding high environmental standards. CSUMB’s Sustainability Department defines sustainability as "the simultaneous pursuit of human health and happiness, environmental quality and economic well-being for current and future generations." The full ranking of 227 colleges and universities, including each school’s completed questionnaire, is online at Sierra Magazine’s Homepage.